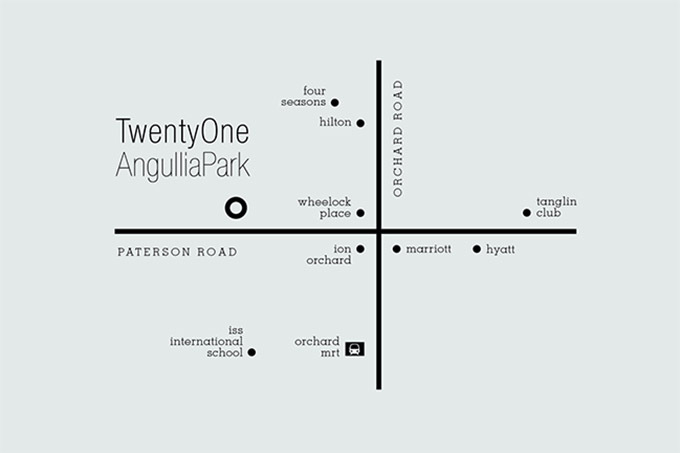 TwentyOne Angullia Park is exclusive 54 units of high end luxurious condominium in Singapore located opposite ION Orchard. 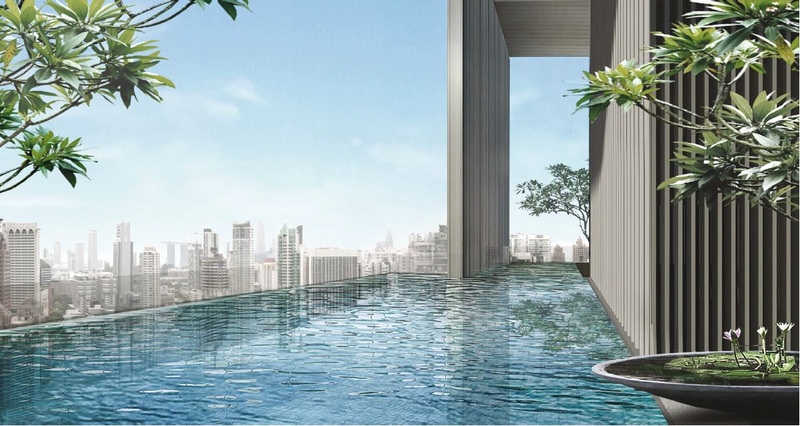 This freehold development consist of 2 – 4 bedroom and penthouse unit which spread into 36 storey high and each unit is served with private lift to ensure the exclusivity of the development. It sits on approx. 49,133 sqft of land, TwentyOne Angullia Park is designed by the award winning SCDA architects and all units is fitted out with the finest material. In every international city, there exists one address which represents the ultimate benchmark of cosmopolitan living. 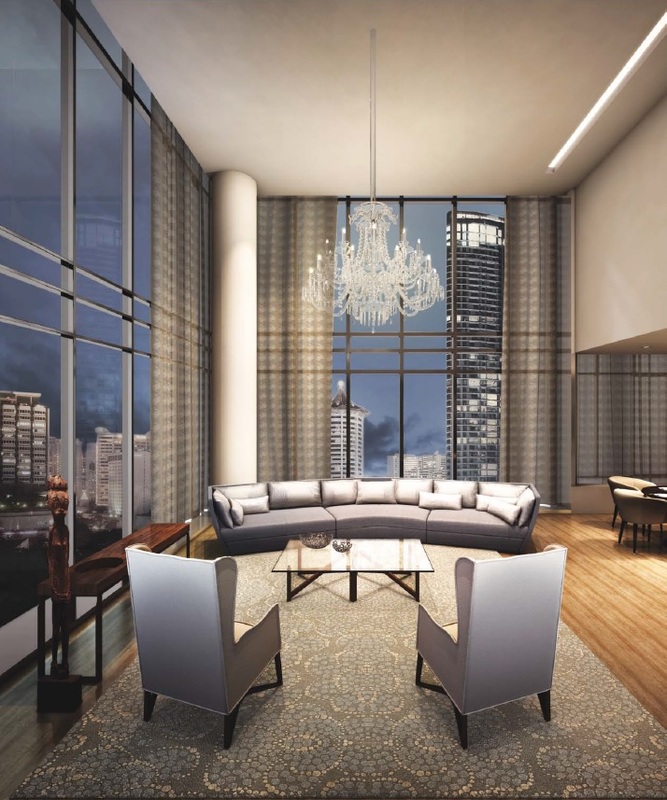 An address that define the city’s elite like The Peak at Hong Kong, Roppongi Hills at Tokyo, KLCC Park at Kuala Lumpur, The Bund at Shanghai, Central Park at New York, and Hyde Park at London. Orchard Road in Singapore is the most famous landmark location and TwentyOne Angullia Park is located just opposite ION Orchard. The Orchard MRT Station is just approximately within 2 minutes walking distance, allowing the resident in TwentyOne Angullia Park to experience quick access to both the business district and Singapore integrated resorts. TwentyOne Angullia Park’s family friendly credentials are further enhanced by the extensive variety of nearby schools including ISS International School. Within walking distance stands the finest international designer stores, luxury hotels, a fabulous choice of cosmopolitan dining and entertainment services, all supplemented by further recreational facilities available in the Town Centre. TwentyOne Angullia Park is designed by multi award winning SCDA architects and it is a new architectural icon that reengineers the shape of modern urban living. Pure, pristine and pragmatic in design featuring the lightness and sophistication of glass and steel, maximising natural light and ventilation from every direction. An extraordinary sense of freedom inside each luxury residence, enhanced by double volume height and floor to ceiling windows. Two sky terraces provide space of green and calmness. Retreat to the 10th floor terrace featuring a gym and sky terrace for a workout, a leisure read or coffee with friends. On 22nd floor indulge in the sensation of floating on air in the stunning infinity pool and immersed with the panoramic views. Capturing the best of its unique vantage point, living rooms at TwentyOne Angullia Park are designed to take in the impressive view all the way down Orchard road. 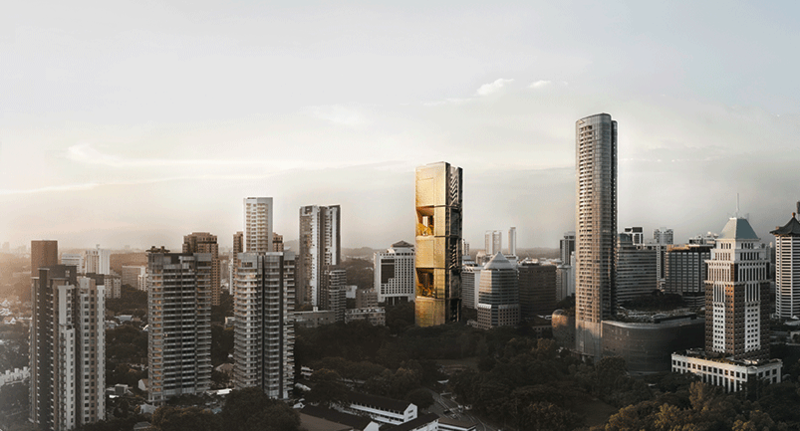 From higher floors, the vistas extend even further and wider sweeping across the Marina Bay waterfront and the green expanse of the Singapore Botanic Gardens. From sunrise to sunset, lives the gaze of an amazing mural. By day, a colourful kaleidoscope of life on the streets directly below. By night, the glittering lights of the city and its most prominent landmarks. Posted in Singapore and tagged Freehold condo, ion orchard, singapore condo, TwentyOne Angullia Park.